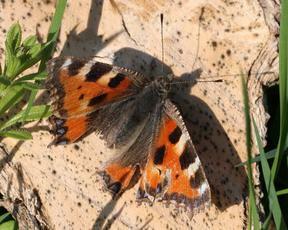 A familiar pretty butterfly with orangy brown wings that are marked with blues and darker browns. 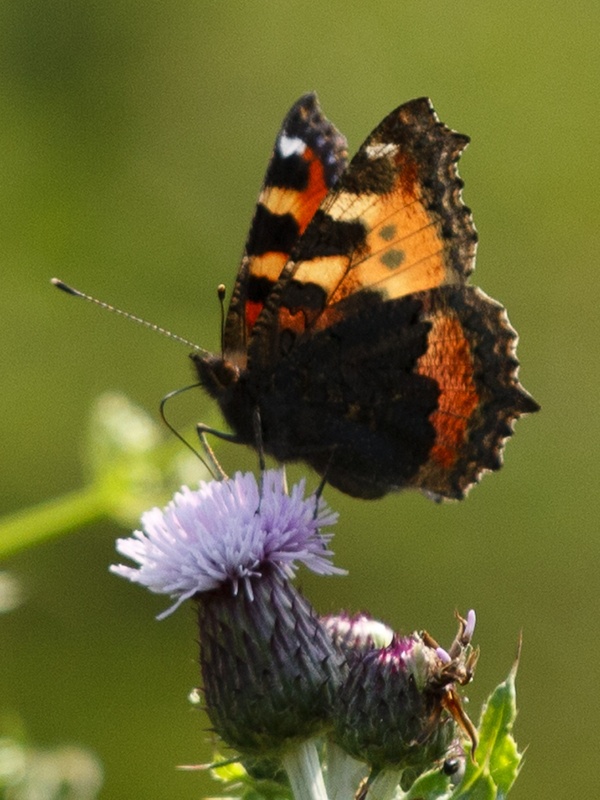 The orange upper sides of the wings provide a contrast with the drab undersides. 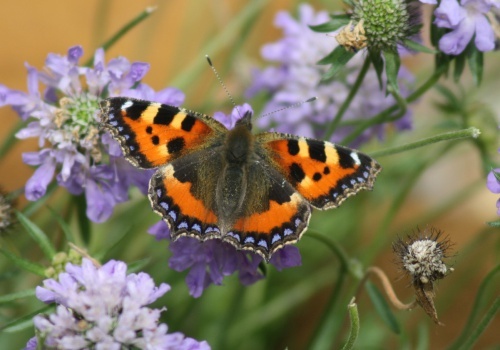 This butterfly can turn up almost anywhere, from city centres to mountaintops. 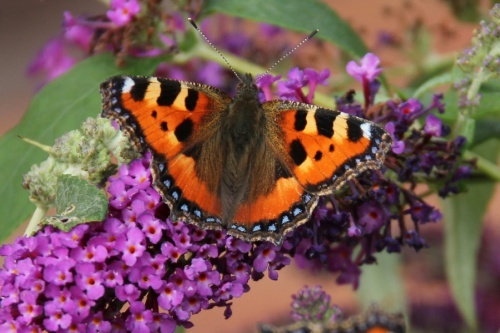 As such, it is one of our most successful butterflies. 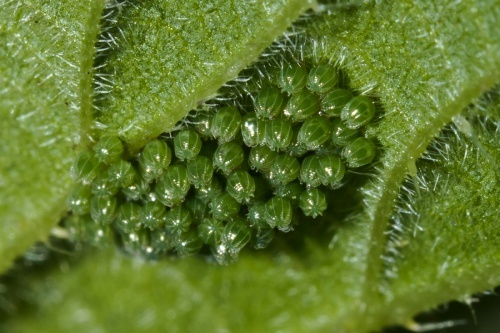 It is most-often seen, however, where nettles grow in abundance, such as field margins. 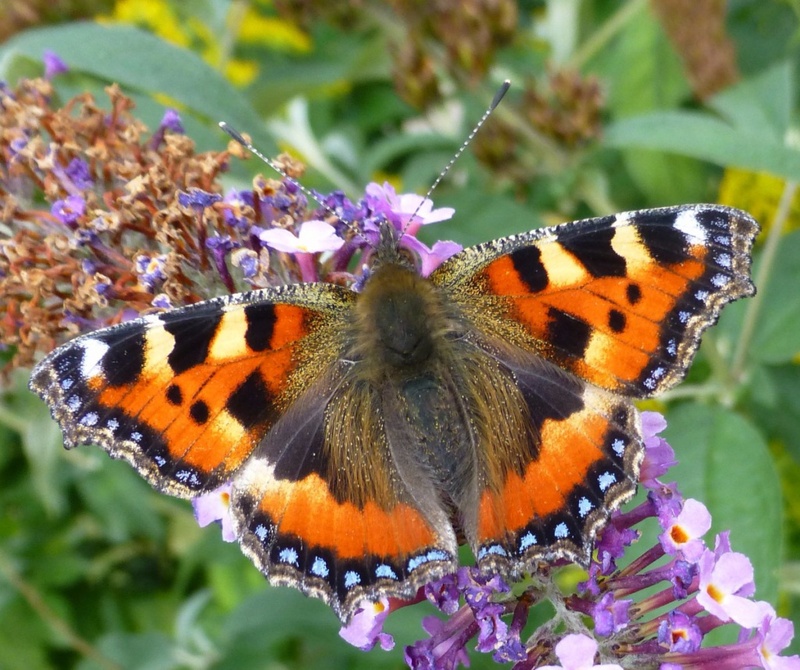 All year round, but mainly from April to September. 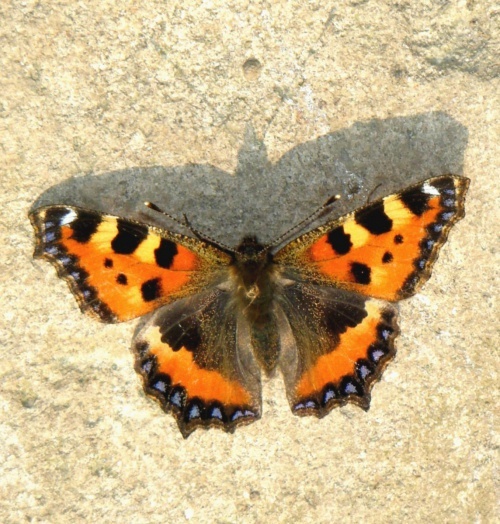 This butterfly is often encountered while hibernating in an outbuilding, such as a garage, shed or barn. Other hibernation sites include hollow trees and woodpiles. 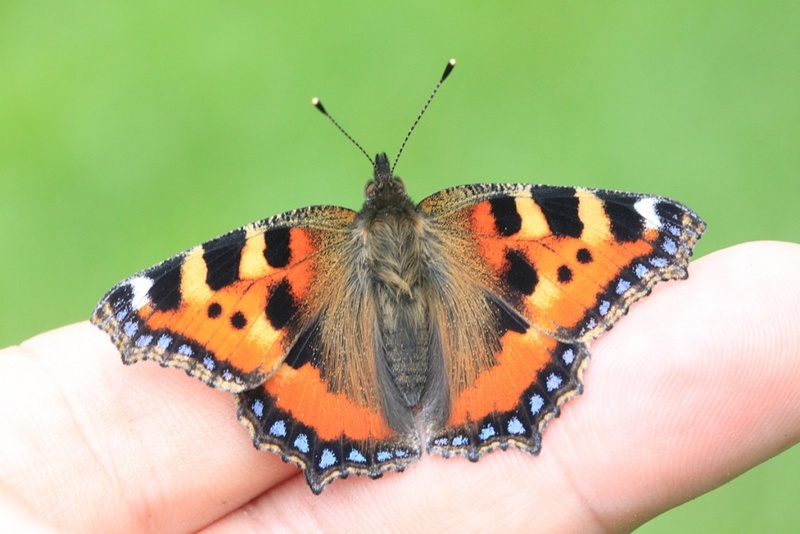 Adults normally emerge from hibernation at the end of March and start of April. 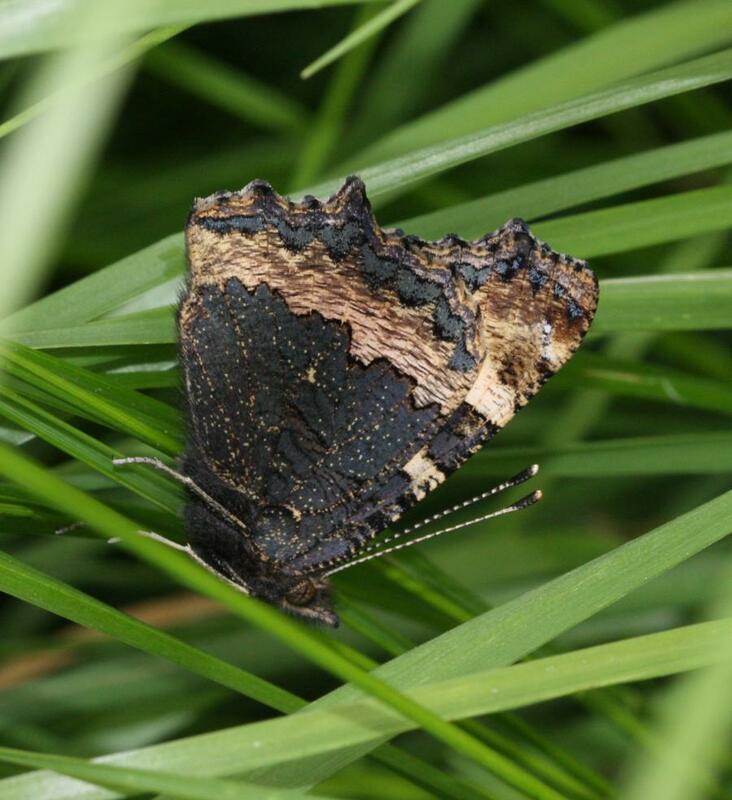 There are typically two broods each year, except in the north where there is usually only a single brood. 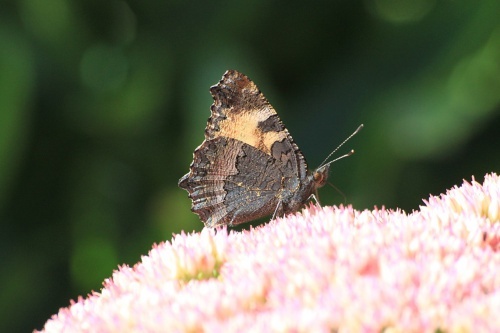 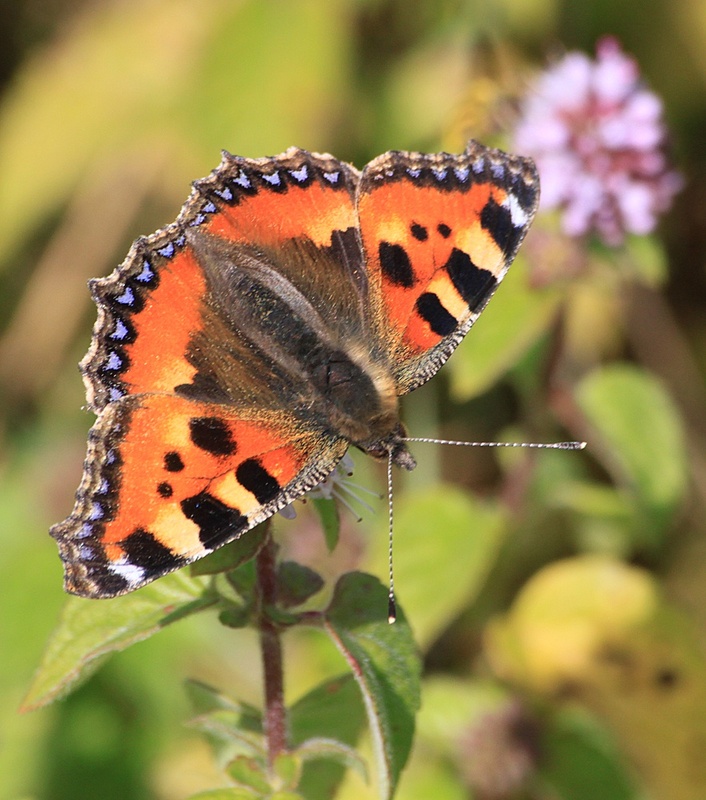 The butterfly is a familiar sight in late summer as it takes nectar to build up essential fats in preparation for hibernation. 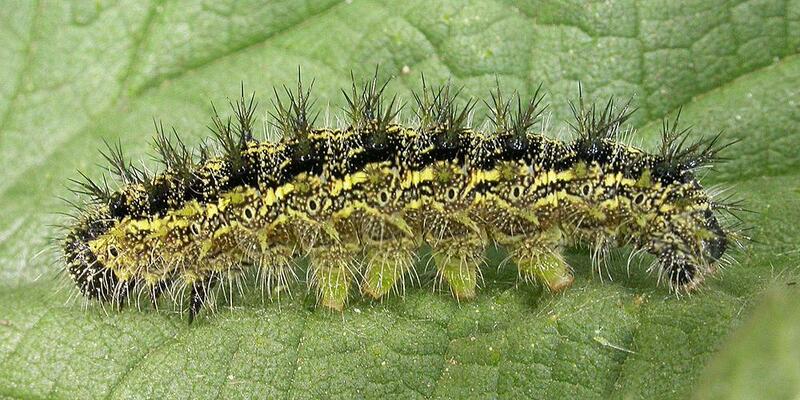 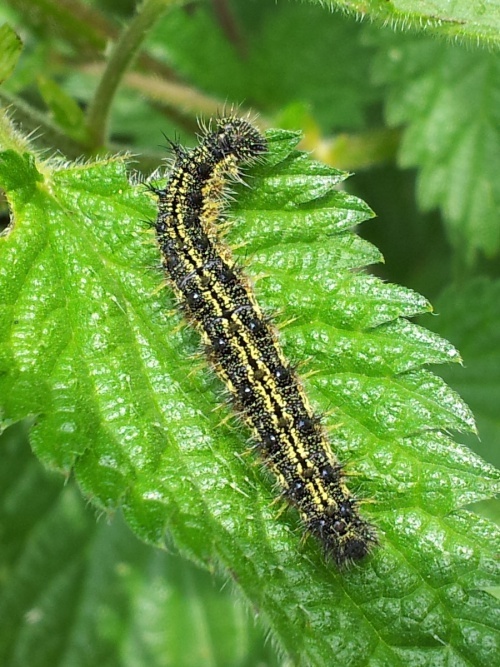 It breeds on Nettles. 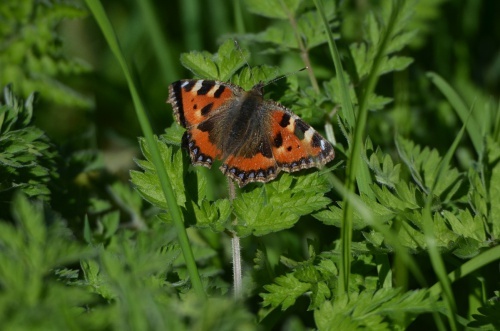 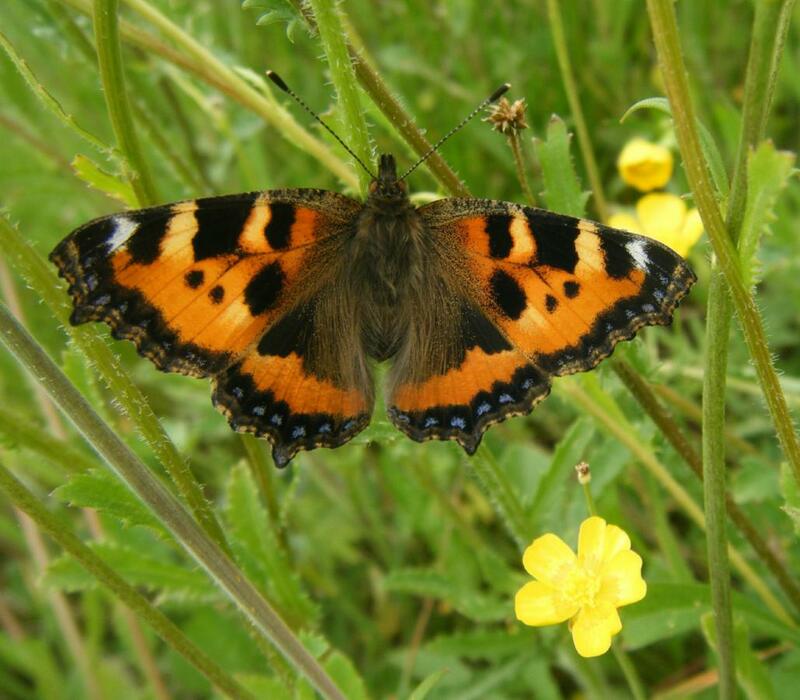 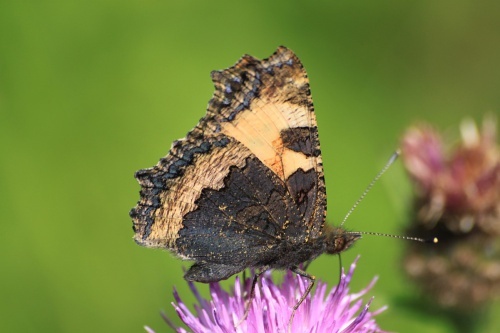 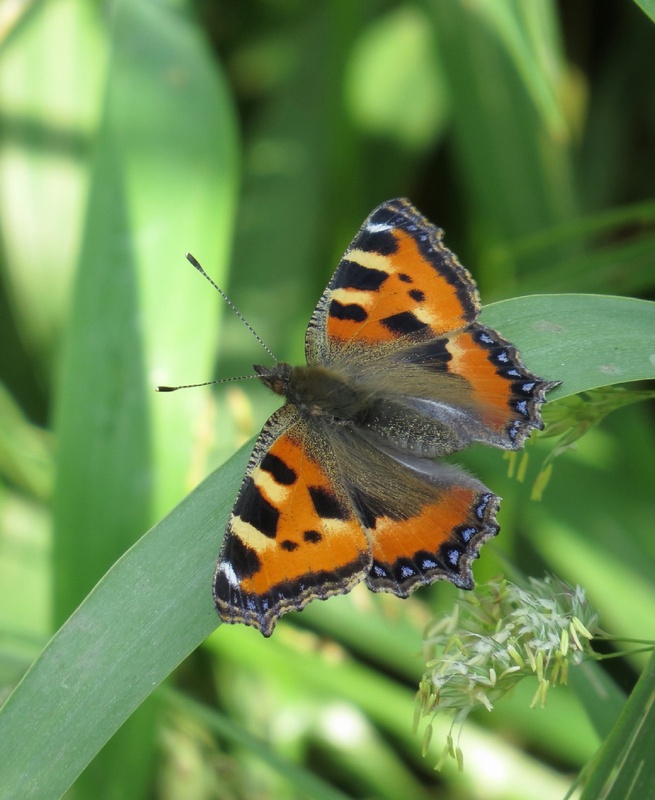 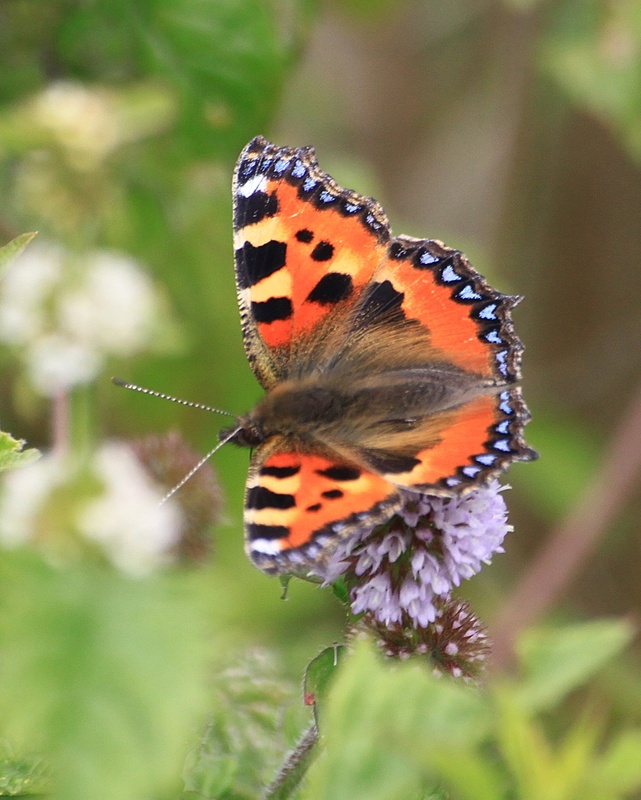 This is one of our most widespread butterflies, occurring throughout the British Isles, including The Orkneys and Shetlands. 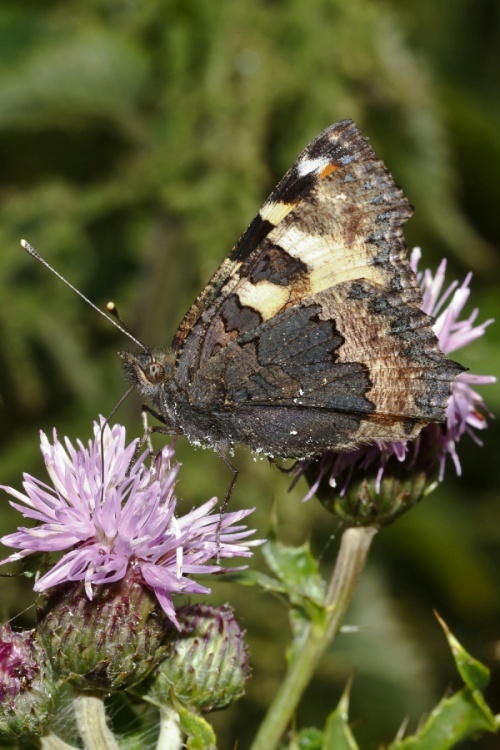 Unfortunately this butterfly has suffered a worrying decline, especially in the south, over the last few years. 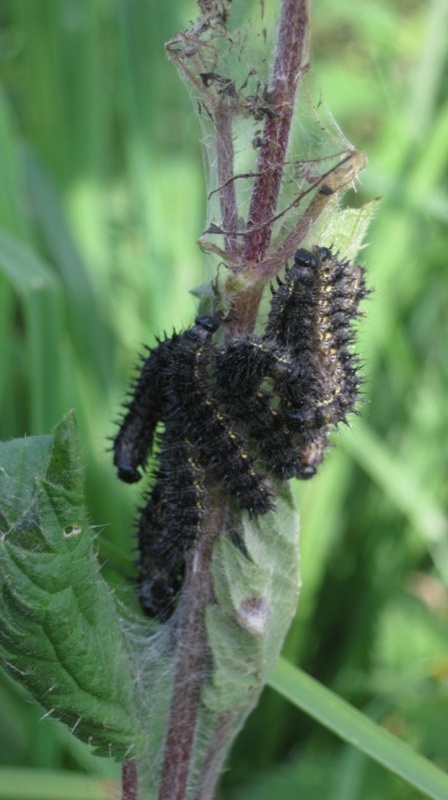 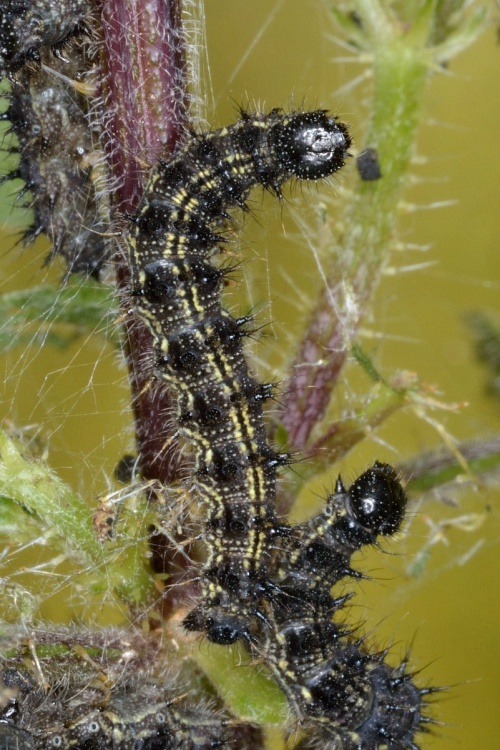 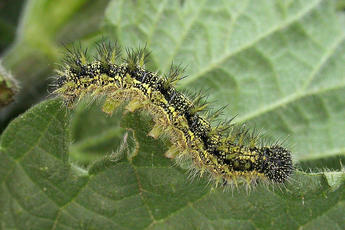 Common in Leicestershire and Rutland (but has not done well in recent years).